Wilhelm Lehmbruck (1881-1919) was an important German printmaker and sculptor. Born in Duisburg, he was the fourth of eight children born to the miner Wilhelm Lehmbruck and his wife Margaretha. He was able to study sculpture arts at the School of Applied Arts in Düsseldorf by a stipend from the municipal authorities. Wilhelm Lehmbruck was an important German printmaker and sculptor. Born in Duisburg, he was the fourth of eight children born to the miner Wilhelm Lehmbruck and his wife Margaretha. He was able to study sculpture arts at the School of Applied Arts in Düsseldorf by a stipend from the municipal authorities. After the young artist finished his studies he became a member of the Artists of Düsseldorf and a member of the Société Nationale des Beaux-Arts in Paris, whose exhibits he joined with his art since 1907. The exhibition of the Société Nationale des Beaux-Arts took annual place at the Grand Palais. was an important German printmaker and sculptor. Born in Duisburg, he was the fourth of eight children born to the miner Wilhelm Lehmbruck and his wife Margaretha. He was able to study sculpture arts at the School of Applied Arts in Düsseldorf by a stipend from the municipal authorities. After the young artist finished his studies he became a member of the Artists of Düsseldorf and a member of the Société Nationale des Beaux-Arts in Paris, whose exhibits he joined with his art since 1907. The exhibition of the Société Nationale des Beaux-Arts took annual place at the Grand Palais. In 1907, he married Anita Kaufmann, and they had three sons. He moved to Paris, where he was able to exhibit the first time at the Paris Autumn Salon in 1910. Taking part at the salon was mentioned being progressive that time. There he also met the sculptor Alexander Archipenko. During the next years Lehmbruck's artwork was shown in Cologne, Munich and Berlin. 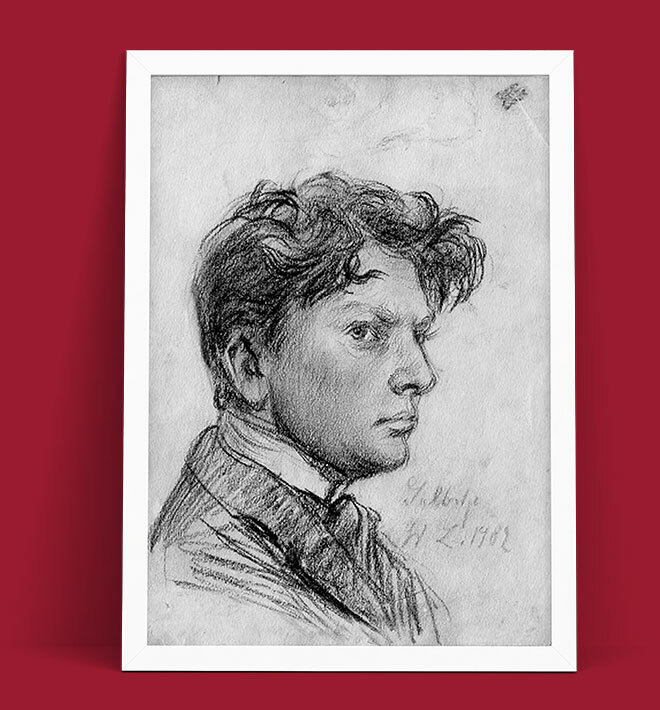 In 1913 he exhibited at the Armory Show in New York. In 1914 a first huge exhibition was dedicated solely to the artist at the gallery Paul Levesque. During World War I he served as a paramedic at a military hospital in Berlin. The suffering and misery he saw there are reflected in his late sculptures such as Fallen Man (1915-16). He suffered from severe depression and fled the war by going to Zürich at the end of 1916. Lehmbruck's statues mostly concentrate on the human body and are influenced by Naturalism and Expressionism. His works, including female nudes, are marked by a sense of melancholy and an elongation of form common to Gothic architecture. The Lehmbruck Museum in Duisburg has in its collection about 100 figures, 40 paintings, 900 drawings and 200 graphical works by him. The museum, named after Wilhelm Lehmbruck, was originally designed by his son Manfred. After the war he returned to Berlin where he committed suicide on March 25, 1919.